Martha is a thought leader whose career has been diverse, spanning law, business, technology, politics and public policy. Canada’s prosperity is at stake. Events in the United States, including major U.S. trade actions against Canada compounded by major tax cuts and streamlining of regulations, pose serious threats to our economy. All of that is beyond our control – but here at home we’re just making things worse. Canada’s natural resources have been the backbone of Canada’s economic prosperity, but Canada’s investment climate for major resource-related projects has deteriorated as regulatory burdens and politically motivated decisions have rendered Canada a difficult place to get anything of significance built. Foreign investment is going elsewhere – and perhaps even more telling, so is Canadian investment. Rather than attracting critical investment, we are turning it away. And yet, although perhaps well-intended, Bill C-69 threatens to make things much worse at a time when we can’t afford that risk. 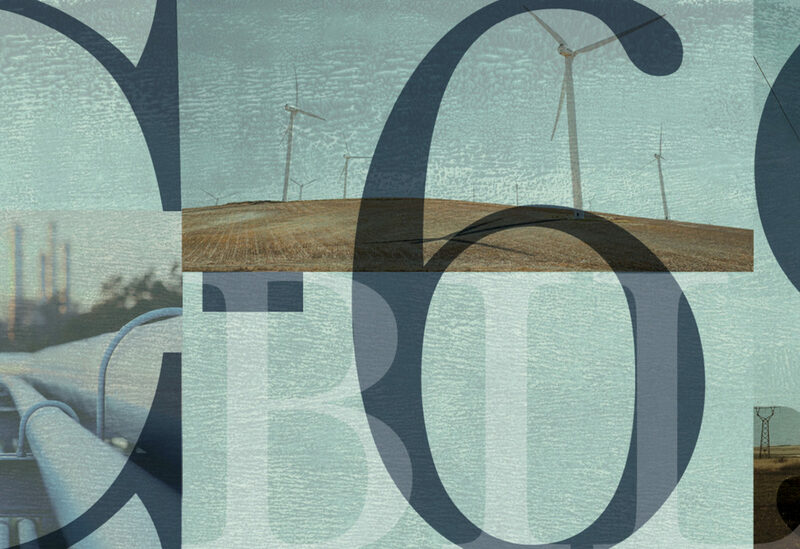 We produced a major report on Bill C-69: Unstuck: Recommendations for reforming Canada’s regulatory process for energy projects, which details our analysis and, most importantly, recommends what such legislation should include. Unfortunately, the amendments since made at the House of Commons Committee level do not address the major concerns, and in some cases, exacerbate them. The bill is now in the Senate, but there is increasing consensus among business leaders, investors, potential investors, think tanks, academics and others that Bill C-69 is not fixable. More than just amendments, Bill C-69 needs a reboot. A reboot will enable the government to build on important policy work now underway, including its own Economic Strategy Tables, to support Canada’s economic success and environmental sustainability. Bill C-69 needs to be rebuilt from the ground up, to capitalize on the extensive work that has been done on the bill so far, but also to incorporate critical missing elements. How can this happen? > The Senate could call for a conference with the House of Commons (a now less common but useful Parliamentary procedure) and the two could agree to let the bill die on the Order Paper. > The Senate could delay/drag out its proceedings until next spring, when Parliament will rise for the fall election. > The Senate could vote down the bill. Canada is having difficulty building infrastructure. We have so much of what the world wants – energy of all kinds, forest products, agri-food, minerals – but we are having a hard time getting a lot of it to market, or to market in a timely way. The most recent high-profile examples are pipelines, but we are increasingly incapable of building much-needed infrastructure of all types, not just energy. Critical port expansions, “clean” electricity transmission lines, wind farms, railway and other transportation capacity building, hydro installations, natural gas plants (to replace “dirtier” coal) are all being delayed or outright denied – and both Canadian and foreign investors are going elsewhere. The energy sector is critical to Canada’s prosperity. The energy sector is a major powerhouse of the economy, not just in the West, but throughout Canada, producing close to 10 per cent of our GDP in 2017, supporting other industries such as construction, manufacturing and transportation, and enabling wealth distribution (via transfer payments) to areas of the country that are not major energy producers. The energy sector is key to our prosperity. Unfortunately, energy is the sector that may be most severely damaged if Bill C-69 comes in. Investment has been moving elsewhere. Canada has historically been seen as a safe, reliable country that is attractive for investment. Today, our reputation as a place to invest for major projects is in tatters, and Bill C-69 is poised to make things worse. Investment (both foreign and domestic) has been going elsewhere, with many of those departures attributed to what is described as Canada’s already cumbersome regulatory environment, our decreasing competitiveness and our increasing political uncertainty. In bundling together both energy regulation and impact assessment, the bill takes on too much – and winds up doing neither one well. Energy regulation requires expertise not only on environmental topics but also on specific technical and economic issues. The federal impact assessment also requires significant, but not necessarily the same, focus and expertise. While energy projects should be subject to impact assessment to ensure that they are implemented appropriately, the decision-making on energy projects should not be part of this process – and the locus of control for energy decision-making should not be the Ministry of the Environment. There is some excellent work being done by the government’s Economic Strategy Tables that is directly related to the stated purposes of Bill C-69. In particular, the Resources of the Future Economic Strategy Table is doing thorough, thoughtful, non-partisan work preparing practical policy and regulatory recommendations for how Canada can best harness on our resource wealth while ensuring environmental and social sustainability. This is exactly the kind of effort Canada needs given recent economic turbulence and regulatory problems. The government deserves credit for establishing this effort. However, Bill C-69 was drafted and put forward before the Economic Strategy Tables had completed (or in some cases even started) their work. As a result, none of the work of the Tables is reflected in the bill – and the bill is far poorer for it. The responsibility of the House of Commons is to pass legislation that provides for Canada’s overall economic and social prosperity. This requires the House to thoroughly consider how a bill as significant as this one not only enhances environmental sustainability – important as that is – but thoroughly considers the economic impacts: how will it affect our ability to build any kind of significant infrastructure (resource-related or not) in a timely and cost-effective manner? How will it affect our ability to attract domestic and foreign investment? Our ability to transport and sell our resources globally? Based on all of the above, how will it affect Canada’s overall economic prosperity? Unfortunately, the only House of Commons committee to review the bill was the (government majority-controlled) Environment and Sustainable Development Committee – not the Natural Resources Committee (its members were “invited to participate” in the Committee deliberations but there was little active engagement); not Transport, Infrastructure and Communities; not International Trade; not Finance. This despite the fact that Bill C-69 would have significant consequences for all of the areas for which these other committees are responsible. Most investors and potential investors are not concerned about tough environmental regulations. Many, in fact, take pride in the reputation of the Canadian regulatory process for integrity, safety and environmental quality. But what they need for investment is certainty. Uncertainty, overly long time frames, and our increasing penchant for decision-making based on political whim instead of clear rules, encourage them to go elsewhere. Bill C-69 arguably has the potential to create more uncertainty rather than less, impose greater timelines, reduce regulatory legitimacy and transparency, and significantly increase the role of political influence and whim. All of which make Canada even less attractive for much-needed investment. Some industry leaders with existing approved projects have said that, with this new approach, they would not have even tried for a project in Canada; others with existing operations in Canada are clear that any future investment will go elsewhere; and potential investors from around the world are saying that Canada has already become unreliable and that this legislation would ensure that their investment will go elsewhere. Recent events in the United States have fundamentally changed Canada’s economic situation – worryingly so. Through no fault of the current government, Canada now has major economic concerns that we didn’t have when the current government campaigned or was elected. The government’s mandate must therefore change too. There are too many pressing economic concerns to pass legislation that has not been adequately considered in economic terms – and that could make our investment climate even less attractive. * “C-69 is just rife with discretion. Interestingly, Conservatives and industry are also expressing concern about that.” Linda Duncan, NDP deputy environment critic, The Narwhal, June 21, 2018. Stay tuned for more What Now? briefs, a new regular Canada West Foundation feature that dives into pressing policy issues of interest to the West and all of Canada.